In order to understand the seventeenth century glass recipes of Antonio Neri and for that matter, any alchemical recipes, it is first necessary to have a grasp of the chemical repertoire. The ingredients referenced by Neri were not especially exotic, but over the intervening four centuries since he wrote, the common names of materials have changed considerably. In the current lexicon, we name materials by their chemical formulas, so iron oxide names its two constituent elements, iron and oxygen. But in the seventeenth century, the periodic table of elements was a concept yet to be invented; hence "crocus Martis." Martis refers to Mars, the Roman god of war, the red planet, and the ancient alchemical name for iron. The origins of crocus are lost, but it may refer to the similar looking spice saffron, (crocus sativus) which has been highly valued since antiquity. Poetically, 'saffron of Mars' alludes to the orange-red color of rust. 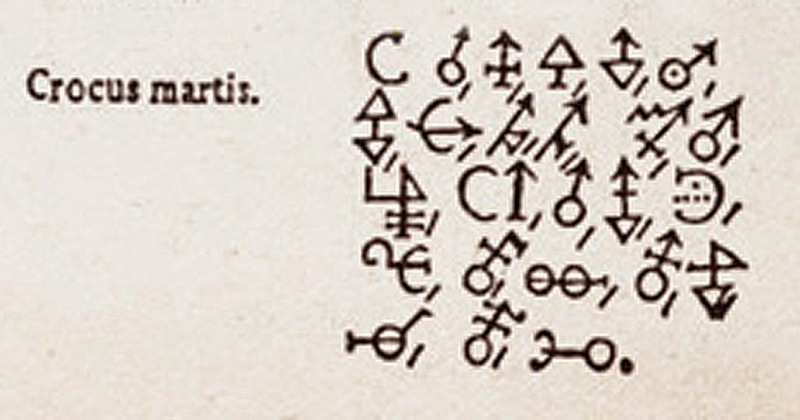 A first encounter with the technical recipes of sixteenth and seventeenth century alchemy can be confusing, frustrating and more than a little disorienting. There is no shortage of records, letters, manuscripts and recipe books that have been preserved from that period, however, the challenge lays in making sense of them in a way that relates to our current view of the world. It is understandable that alchemical materials and compounds had unfamiliar names; but even larger difficulties arise with the realization that any given name might describe several different chemicals, and in fact, there may be several different interchangeable synonyms/symbols for any given name. As it happens, there were good reasons for this state of affairs. The challenge of deciphering alchemy is not insurmountable. Taking the time to understand really opens up a window onto a strange and wonderful landscape of history. 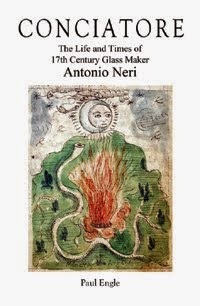 Antonio Neri considered himself an alchemist first and glassmaker second. His purely alchemical works are somewhat cryptic, but in the glass book he bends over backwards to be accessible to novices. Because of this crossover, his work can help us to navigate details in both areas that might otherwise go without explanation. His writings broadly divide into two categories: one intended for generally curious readers and another intended only for those familiar with the arcane coded language of alchemy. We have examples of both styles by Neri and all written within the period of about fifteen years at the beginning of the seventeenth century. As a result, we can use his works intended for a general audience to decode some of his more arcane passages elsewhere. With the glass recipes, his careful explanations lead us to gain considerable confidence in his technical abilities. In the introduction to his famous book on glassmaking, L'Arte Vetraria, he wrote, "I have described every last detail clearly and distinctly in this work, I am sure that if you do not purposely foul up, it will be impossible to fail, after having acquired experience and practice." Even in Neri's more obscure works, he earned the respect of later chemists; in 1870, in the journal Nature, George Rodwell, the first science master of Marlborough College, pronouncing him a "sensible chemist." 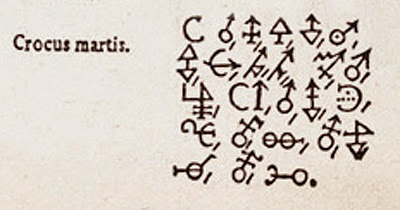 Rodwell went on to note that Neri had used "no less than thirty-five different names, and twenty-two symbols" to denote a single material, the metal mercury.